It’s now accepted as conventional wisdom that you must spend well into the twenties or thirties to get a credible hot hatch. 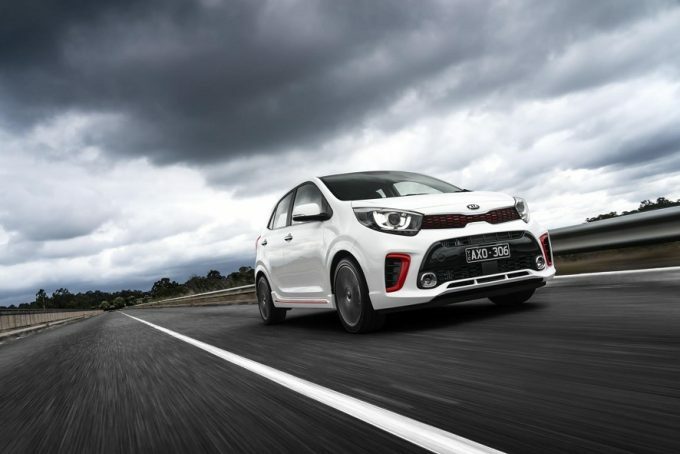 Kia is challenging that notion with a newcomer which promises fun in a micro car package, for an eye-opening price of well under 20 grand – the 2019 Kia Picanto GT. As we touched on in our 2019 Kia Picanto S review, the Korean-built tiddler all but has the micro car segment to itself, clocking 875 units to the end of February (VFACTS) for an impressive 80.6 per cent market share. 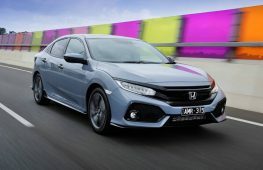 A sporty new model has now touched down to complete the range with a 1.0-litre turbocharged triple and a five-speed manual transmission. Last year, the GT-Line gave the Picanto a sporty aesthetic, the GT now builds on that with a 74Kw and 171Nm engine as well as several chassis revisions which we will detail below. Stay tuned for our 2019 Kia Rio GT-Line review – a car which features the same engine as the Picanto GT, but with a seven-speed dual clutch gearbox instead. The Picanto GT is 3595mm long, 1595mm wide and 1485mm tall, with a 2400mm wheelbase. Boot space is 255 litres with the seats up, and 1010L when the second row is stowed. It’s worth noting the second row does not sit completely flat. 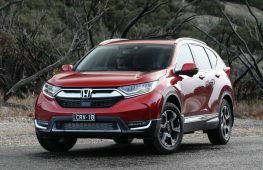 Although the car is one of the smallest on the market, it will satisfy all but the tallest adults in the four outboard seats. 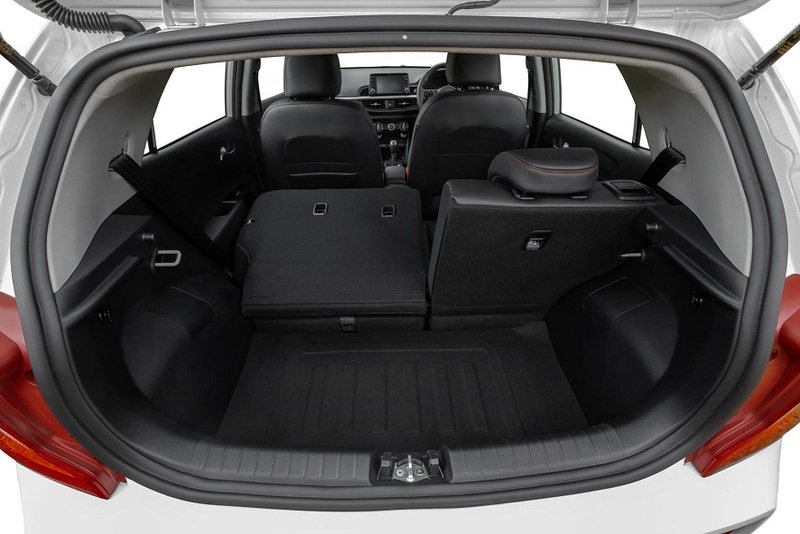 Comfort is enhanced by the addition of side bolstering on the seats, but like the Picanto S, you won’t find any lumbar adjustment, nor reach adjustment for the tiller. Building on an already sound platform, the Picanto GT- like its entry-level stablemate- includes a 7.0-inch touchscreen, incorporating Apple CarPlay and Android Auto. It also features two additional speakers for a total of six, but we would stop short of calling audio quality brilliant. As with the base car, placement of switchgear and buttons is carefully thought out and everything falls readily to hand. The Picanto GT, echoing the GT-Line model introduced earlier, has an aggressive and fun aesthetic. Highlights include polished 16-inch alloy wheels, red accents, a body kit, aggressive LED headlamps and a bodykit that just screams playful. This theme carrys through to the interior, where you’ll find red accents on the seats, door trims and a leather stitched steering wheel. These successfully lift the ambience beyond cheap-and-cheerful and give the car a special feeling, helping to ignore the presence of hard plastics. The Picanto GT’s 1.0-litre turbo triple is, without a doubt, the highlight of this little tyke. Stepping out of the 1.25-litre S and into the GT, the difference is immediately apparent. 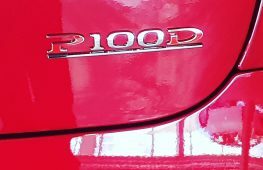 While peak power of 74kW isn’t a massive leap forward, the torque curve of 172Nm from 1500rpm to 4000rpm transforms the nature of this car. Accompanied by burble that tickles your ear drums, the meaty torque curve is a major boon for the 1007kg Picanto, providing satisfying urge, without significant danger to your license. Better yet, the Picanto was ticking over at 2100rpm at 110km/h, some 900rpm less than its cheaper sibling. This engine has so much character we would never have expected it to come from a Korean marque. As for performance, expect 0-100km/h around the 10-second mark, but this car is not about numbers, it’s about fun. 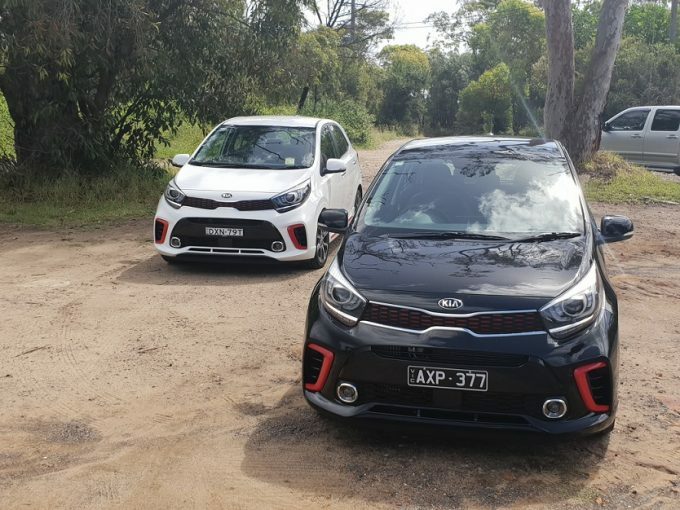 Considering the Picanto S we tested and the Picanto GT are both fitted with a five-speed manual, you could be forgiven for expecting the pair to share a gearbox. This is not the case, as the GT features a different reverse position and superior shift feel. 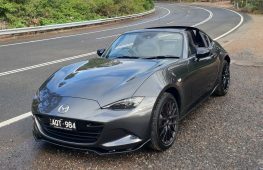 A counterweighted gear knob and firmer clutch take some getting used to, but are very satisfying to operate in unison with that sweet little engine. 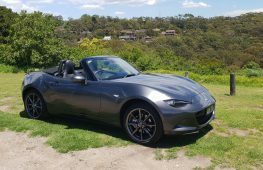 To a novice manual driver who might typically consider an automatic, this is a very learner-friendly gearbox, with a hill-hold function and forgivable action. We are pleased to report, this is not a car that requires six ratios. Could it do with an automatic? Maybe, but certainly not the four-speeder in the S and GT-Line. When it comes to measuring the fun-to-drive factor of a sporty hatch, this is the area where closest attention is paid. The Picanto GT does not disappoint here- the steering is well-weighted and direct, maybe lacking the communication of hitory’s hot hatch greats, but it’s undoubtedly well-sorted. The firmer suspension setup is felt through bends too, with the car sitting flat as you tie esses and chicanes together. Great visibility and that rich torque curve are harmonious allies. 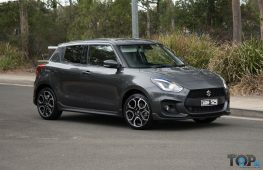 Lacking the outright speed of a Swift Sport or Fiesta ST, of course it’s not going to be in the same league as them but in isolation, it stands tall on its own. There is one area, however, that makes the Picanto GT truly, grin-inducingly special, and it was to be found in what would otherwise be the most miserable passtime for a driver: dense traffic. The tiny size, punchy engine and great visibility of the car gives you confidence to seize gaps in traffic that you never thought possible. Sniff out a gap, drop back a gear and go for it. It is intoxicating to exploit this car’s agility and not only can it bring you joy in an otherwise dreary time, but it can save you time as well. It’s here that the best word to describe the Picanto GT comes to mind: cheeky. 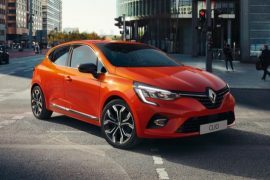 Other motoring outlets have met the Picanto GT with a lukewarm reception and we suspect that is because they are looking at it from a traditional ‘hot hatch’ context, against the GTI’s and ST’s of the world. If they had only spent a bit more time getting to know it in Sydney’s worst traffic, they would’ve discovered its inner-beauty. Despite a demonstrably firmer ride than the Picanto S, there is no trade-off here, which is testament to the car’s unexpectedly stiff chassis. Granted, it’s never going to be Rolls-Royce but for what it is, it absorbs most bumps admirably. As with the S, wind noise is somewhat intrusive but that’s not unexpected at this price-point. For all that extra performance, you would expect a fuel consumption penalty but you would be totally wrong. With a quoted average of 4.8L/100km, the GT is actually thriftier than its cheaper stablemate. Best of all, it doesn’t require premium fuel, either. The flipside is a modest penalty in service costs, with 10,000km intervals instead of 15,000. 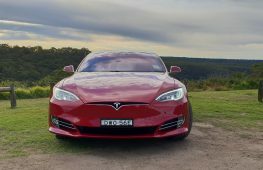 The still very-modestly-priced services are incrementally dearer than the GT-Line and S, with the first visit costing $271 compared with $248, for example. A negligible difference to most. 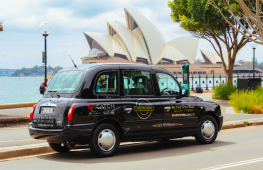 All Picantos features a four star ANCAP safety rating, but score well in terms of occupant protection and feature crash-preventing autonomous emergency braking (AEB) as well as many other safety features. 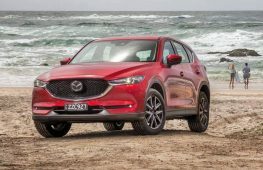 The agility of this vehicle bodes well for crash avoidance, as do the four-wheel disc brakes when most other vehicles in even the segment above continue to use rear drums. You can read the Picanto S’s full safety report here. The amount of character, standard equipment, after care and good looks on offer for just $17,990 is astonishing. 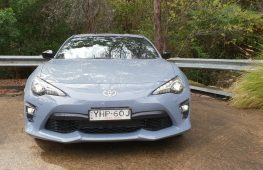 This is just $700 more than the automatic GT-Line and definitely the choice for keener drivers. 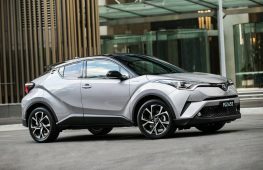 It’s worth noting that a manual version of the GT-Line will lower that car’s entry price by some $1500 when it is announced soon. The mere fact that Kia is adding another manual model to the range gives hope for fans of three-pedal driving. While the amount of standard equipment is undoubtedly high for the price, it’s FOMO time as we point out that there is a Picanto GT-Line S in overseas markets that includes dual zone climate control, heated seats and steering wheel, a sunroof, wireless phone charging, tyre pressure monitoring and climate control. Now ignorance is bliss and we would not have known this but for the set of blank switches ahead of the gear lever. If the car’s popularity continues to grow, perhaps Kia will consider adding these features at some stage down the track. Is it fun? You bet. Is it hot hatch material? Well not in the traditional sense of the word but it has such a cheeky, infectious character that you just can’t help but warm to. The Picanto GT is such a breath of fresh air and outstanding value for money. It is just so hard to find a fault with the car and with a seven year warranty and roadside package, it makes for great buying. All ratings are calculated in comparison to vehicles in this specific segment.